MXP-3 is another amazing sea toy, created by Germany’s Waterwolf. It is a great board that gives local surfers a chance to ride and experience professional waves! 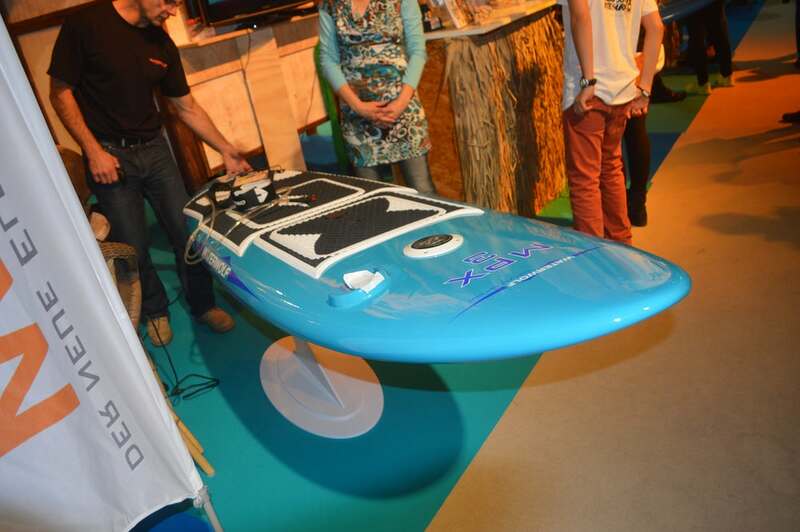 MXP-3 is more of a hybrid toy; part watercraft and part surfboard, this machine is able to punch its way across flat water surface at speeds of up to 21 mph (35 km/h). From all indication, the MXP-3 wasn’t designed for waves at all, instead, the surfboard liberates you from wave and wind conditions and gives you the chance to create your own wave! This is true electric moto-surfing! Powered by a 5 kW water-cooled motor, it drives a propeller at the back. This runs on a 20 Ah lithium-ion battery. The battery is encased in a water-light case and can run up to 20-25 minutes, giving the rider enough time of water play. MXP-3 is able to run for 8 km (5 ml) before requiring a three-four hour recharge. 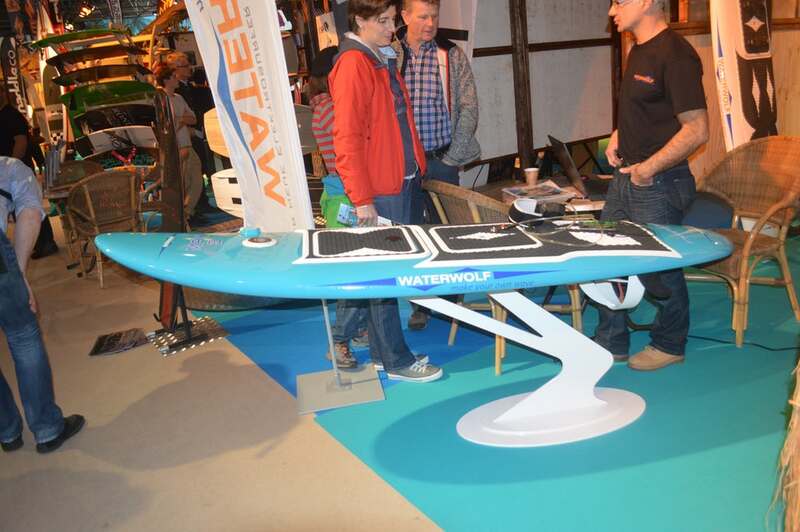 Waterwolf has claimed that its propeller drive is tailored for fast and quick maneuvers. The electric board is fully optimized for performance under the driven power. The rider can control the machine’s output and speed with the aid of a Bluetooth handheld throttle. There is also a top-mounted LCD screen which displays speed levels and battery information. An emergency kill switch for safety measures is activated at the pull of the wrist leash. In the event that the rider falls off, the tug of the strap pulls the magnetic connector out, and this cuts of the power instantaneously. Compared to other powered surfboards like the PowerSki Jetboard, the MXP-3 has a simplistic design and is pretty lighter (weighing only 24 kg). Despite the fact that it may not boast of incredible speeds like the Lampuga, it surely looks like a great board to try out!